The Financial Crimes Investigation Department (FCID) yesterday informed the Fort Magistrates Court that a sum of Rupees 40 million had been misappropriated in the guise of paying for rent for the Consul General office in Los Angeles. Making submissions before Magistrate Lanka Jayarathne, the FCID informed court that the moneys had been paid, despite there being no appointment of a Consul General to Los Angeles. Instead two Military offices who were a part of ex- Defense Secretary Gotabhaya Rajapaksa’s detail were stationed at the premises. The two officers had been paid salaries from both the Military and the office of the Consul General the FCID revealed. The court was informed that the funds had been used for all expenses including utitlites for the premises. The FCID informed court that the premises was used from August 1, 2013 to June 30, 2015 without any appointment of a Consul General. It was also revealed that the payments had been made in violation of the lease agreement which said that in the event of non -appointment of a Consul General, the agreement would be terminated. 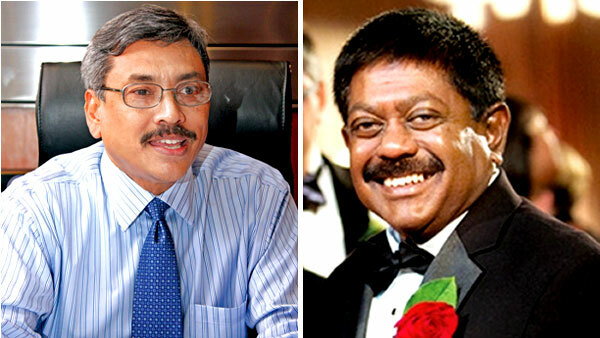 The Court was informed that two officers of the Army, Lakshman Thilakasiri and Upul Dharmadasa were sent during the former Consuln General Dr. Hector Weerasinghe’s tenure, but following the termination of his tenure the duo had failed to return to the country within the specified six month period. Instead they had remained at the residence for another 18 months. the FCID also informed court that the duo had not been granted permission by the Army or the Ministry of Defense. The FCID had recorded statements from Former Ambassador Jaliya Wickremasuriya, and Consul General Dr. Hector Weerasinghe and 22 others regarding the fraud. The FCID also informed court that further investigations are being carried out to ascertain if any other persons had resided at the premises. The Court informed the FCID to continue with the investigations and report to court regarding its findings. It was Gotabaya 's Son & Wife who lived in that house along withe protection from the Army Personnel. This is public money Who will account for this. Should the Fraudsters not go to jail for this. With Trump's new tough immigration policy it won't be too late before ICE Immigration and Customs Enforcement nab these guys and boot them out of the U.S.